Please check the availability of spare clothing that is stored in your child's drawer in the classroom. In May we studied two completely different topics: insects and dinosaurs. Both of these themes attract and interest children. 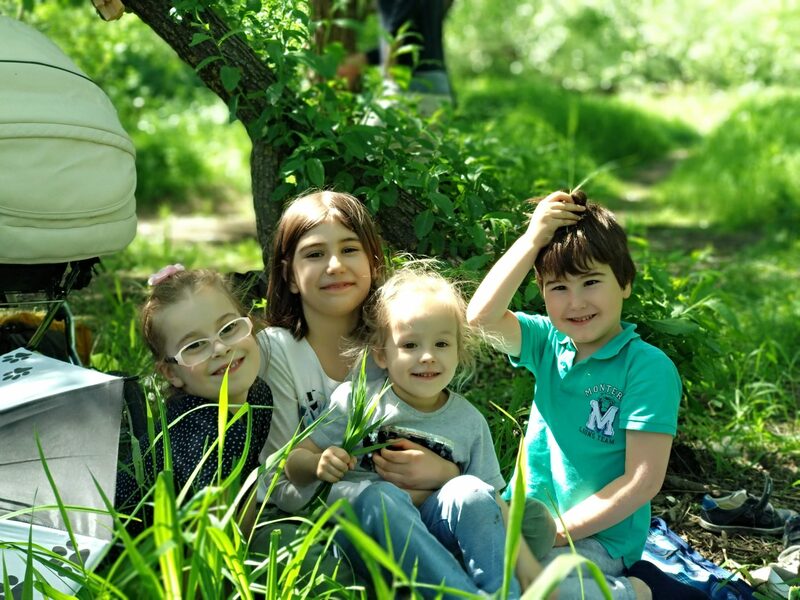 Our young researchers of the world are attracted by the numerous kingdom of insects. As you know, children can observe a beetle, butterfly or caterpillar for a long time. They ask a lot of questions and look at the unique behavior of insects with amazement, and are interested in everything that creeps, flies or buzzes. Together we tried to understand this huge world of small creatures. Children ask many questions about dinosaurs: How many years ago have dinosaurs appeared? Which dinosaur was the largest? Did the dinosaurs live in the sea? Did the dinosaurs know how to fly? Which dinosaur had the largest teeth? Which dinosaur had the longest neck? We tried to find answers together with children and tried to understand the history of these huge reptiles. We continued to observe and look after our plants. Flowers appeared on the peas and beans, later also pods. In front of our classroom, we planted potatoes, and inside the class zucchini and pumpkins began to bloom. We discussed flowers, wrote, read, decorated, and painted the parts of plants. We continue to study the nature of weather, seasons and changes. We talk a lot about life cycles. The children are interested in the topic of electricity, and we tried to discuss it as much as possible in an age appropriate way. Older children assembled electrical circuits. In spring, children became more active and spent much time in dialogues, trying to understand relationships and learning to resolve conflicts. We read books and discussed such topics as "When I miss someone", "When I care about others", "When I get angry", "When I envy". June 1 is a holiday of the children, the main purpose of which is to tell all people about the problems and difficulties faced by the small and defenseless inhabitants of our planet, and to recall how important it is to protect their rights. We decided to please our children and arrange a holiday for them in class with refreshments and their favorite festive clothes. The last meeting of our book club this year will take place on June 14th from 15.40-17.00. We invite all interested parents to join our book club. Everyone chooses their favorite books at home. You will read one small story at our meeting and two other books are for children to read. Last time the children showed great interest in all new books and were ready to read them for a long time. Those children, who participated in the exchange, bring back the books they took last time. It would be great to have books in both Russian and English. And, of course, we will drink tea; please bring a small treat that your children love. Our school is an International School and has children from different countries enrolled. Traditionally in June we celebrate this holiday together. 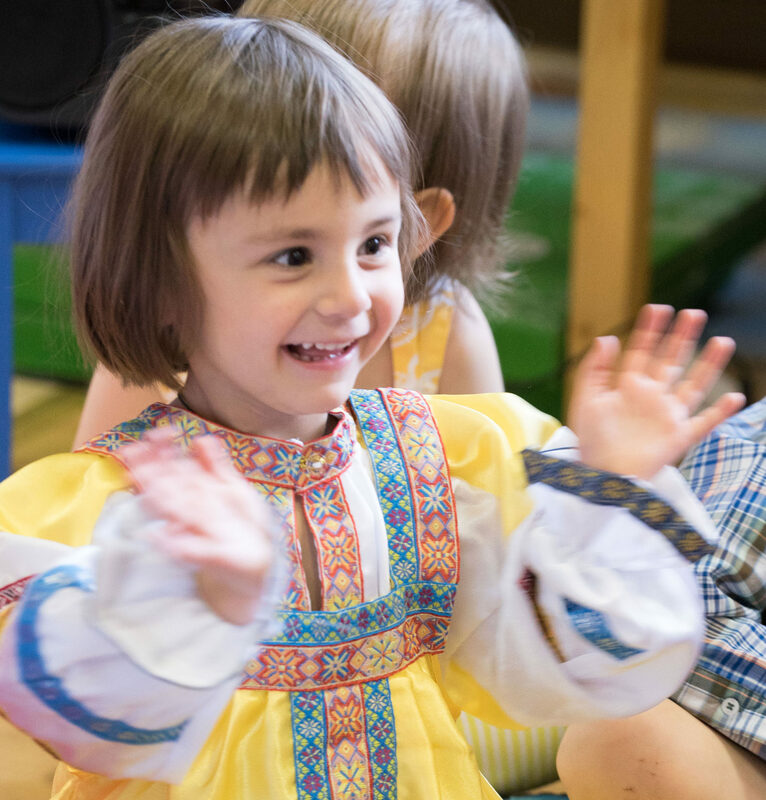 The children dress up in the costume of the chosen country, learn songs in Russian and English, and the adults prepare traditional treats.